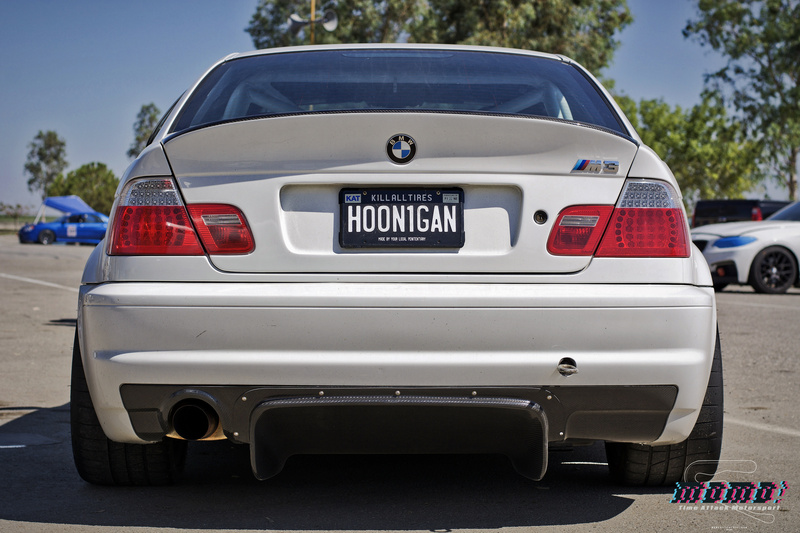 Hoonigan E46 M3 @ GTA Round 3 – MoMoHitsTheSpot! 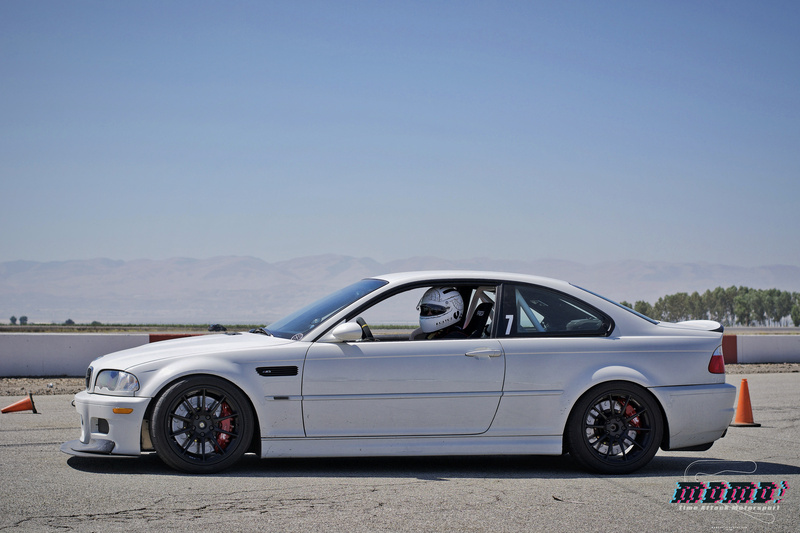 Technically, the Hoonigan M3 didn’t compete in GTA Pro Am but rather the Speed District event that was held on the same days. But….. since Global Time Attack actually have a name to their event, I’m just gonna go with that for the title. 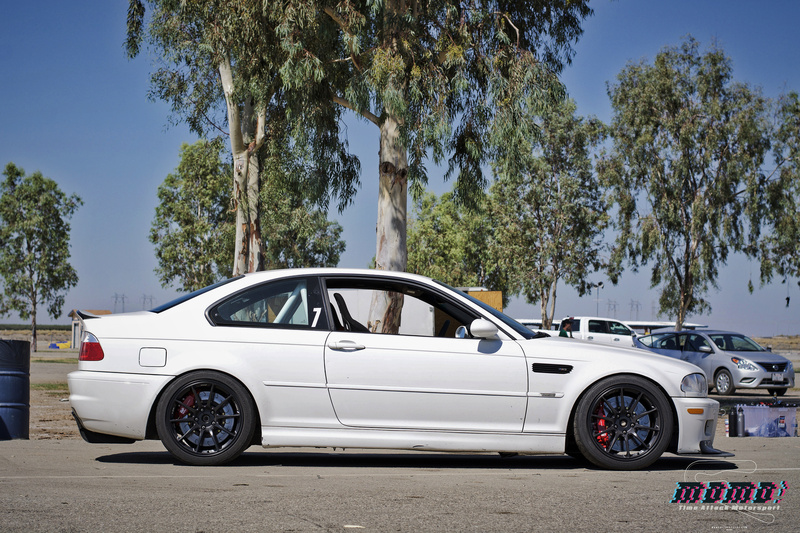 Anyways, at first I didn’t plan on doing a separate post on this car, but I ended up taking quite a bit of photos of the M3, so here we are. 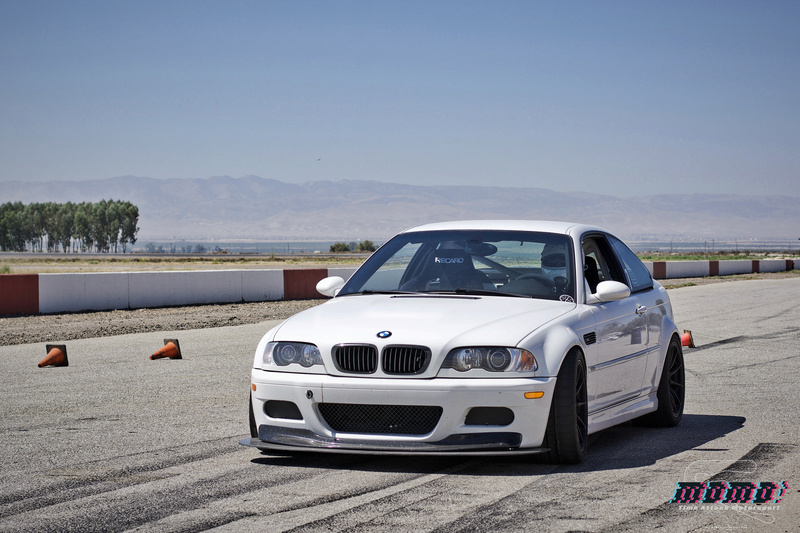 I’ve actually seen this VF Engineering powered car a few times at Buttonwillow, but never really took photos of it. This time though, the conditions were right and the car was positioned where it was perfect for photo ops. 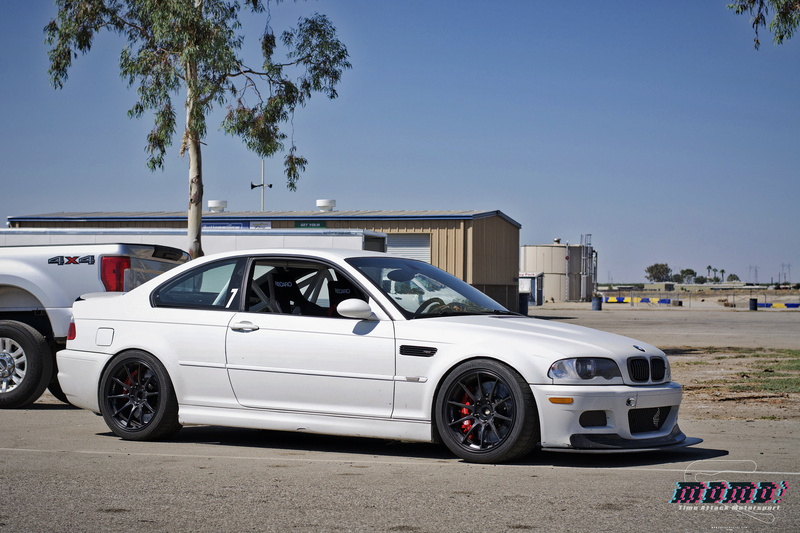 Out of all M3 series through the years, I still think the E46 model years are my favorite. 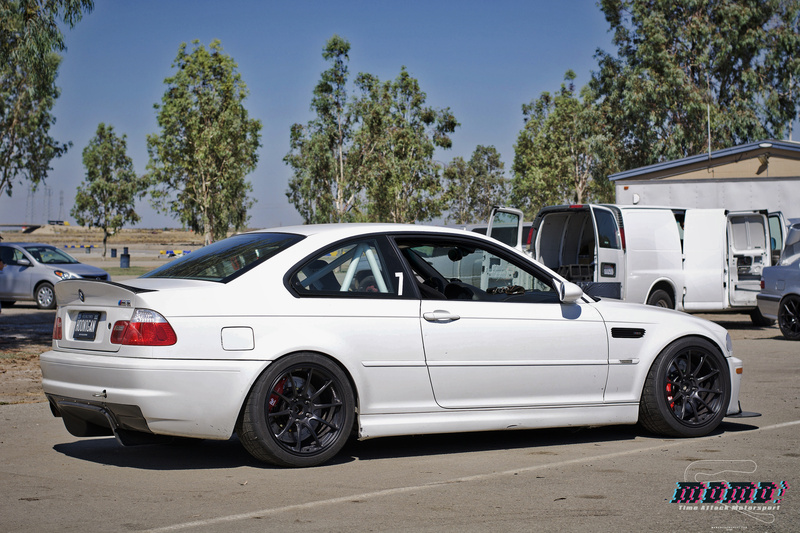 This car had a CSL front bumper on in previous outings, so I’m not sure why it wasn’t on for this track day… Either way though, this car was still exceptionally clean and definitely one of my favorite cars on grid that day. 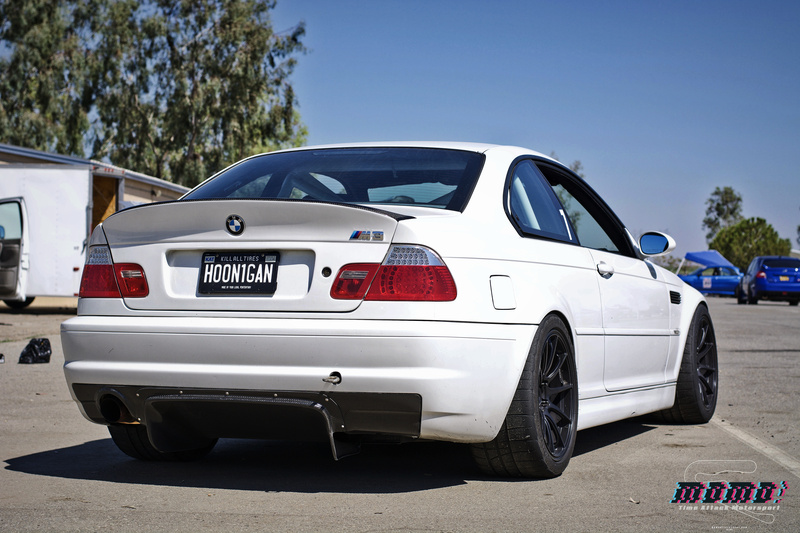 The Bimmerworld rear diffuser looks so fitting on this car. 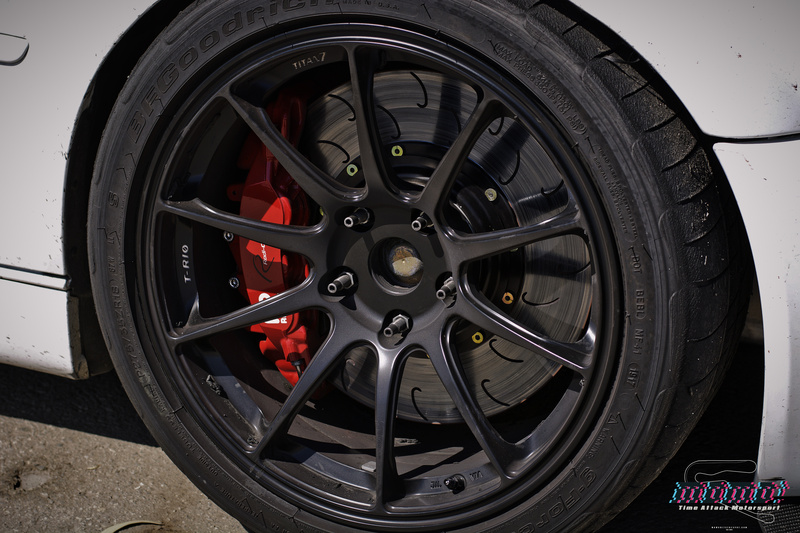 AP Racing brakes peeping through those ever popular Titan7 T-R10 wheels. 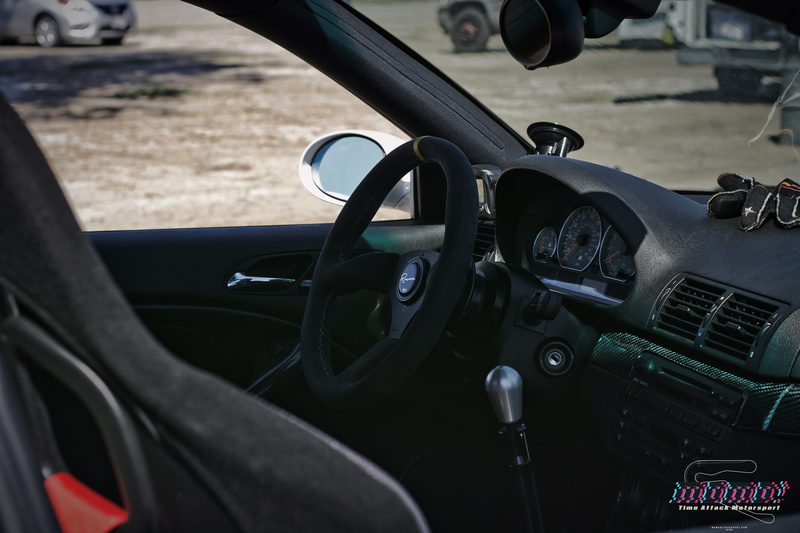 Interior is kept track oriented, with a Renown steering wheel and Recaro buckets. 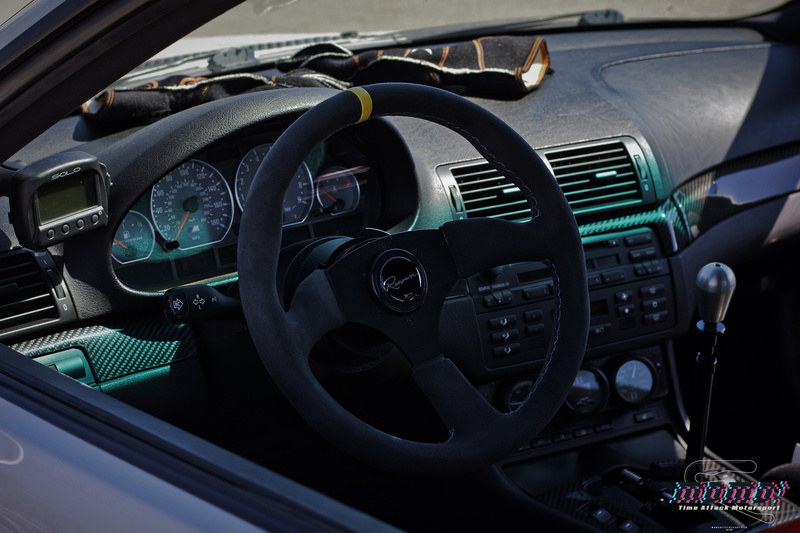 Of course, there’s also the roll cage for that extra level of safety on track.